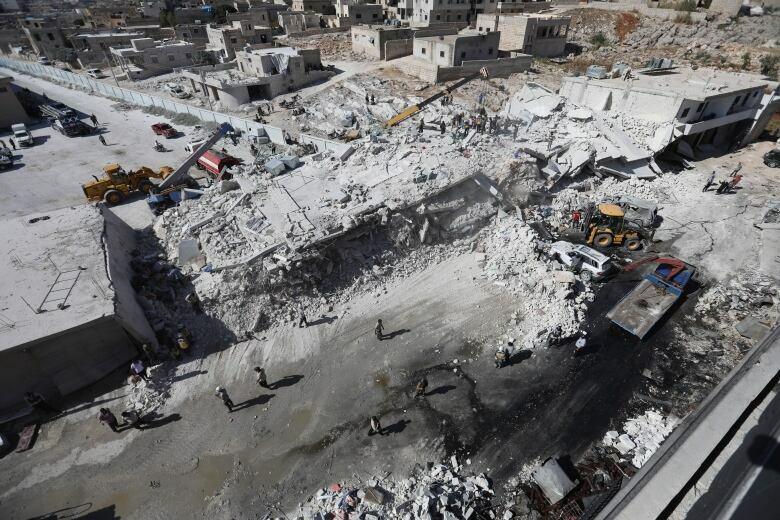 An explosion in northern Syria has killed at least 36 people Sunday and wounded many others, but the cause of the blast wasn't immediately known, opposition activists said. An explosion in northern Syria killed at least 36 people Sunday and wounded many others, but the cause of the blast wasn't immediately known, opposition activists said. 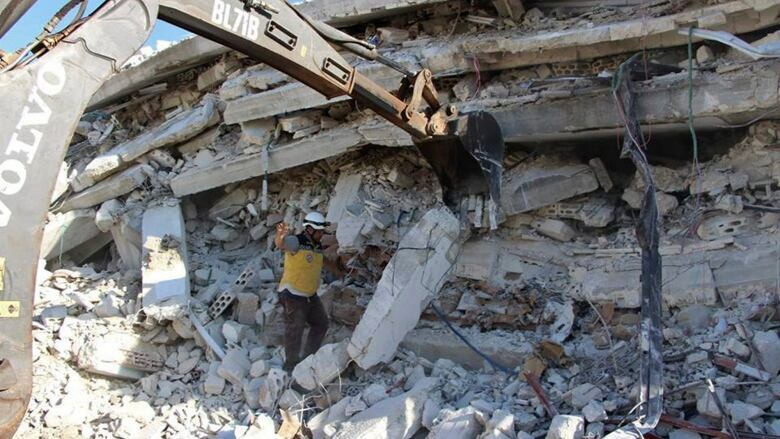 The opposition-run Syria Civil Defence, first responders also known as the White Helmets, said the blast occurred in the town of Sarmada near the Turkish border. The explosion collapsed two five-storey buildings, burying many of the victims, it said. An opposition media collective known as the Smart news agency, said the dead included civilians as well as members of the al-Qaeda-linked Levant Liberation Committee. Pro-government activists said on social media that the elite Tiger Force, led by Brig.-Gen. Suheil al-Hassan, arrived in northern Syria to spearhead what they called the "Dawn of Idlib" operation.